First, Nike decided to partner with Colin Kaepernick by making him the face of the 30th anniversary of their “Just Do It” Slogan. Now, Nike has basically told conservatives they don’t want them to buy their products anymore. Because they are fighting to keep Oregon a “sanctuary state” even after an illegal alien killed a young couple. 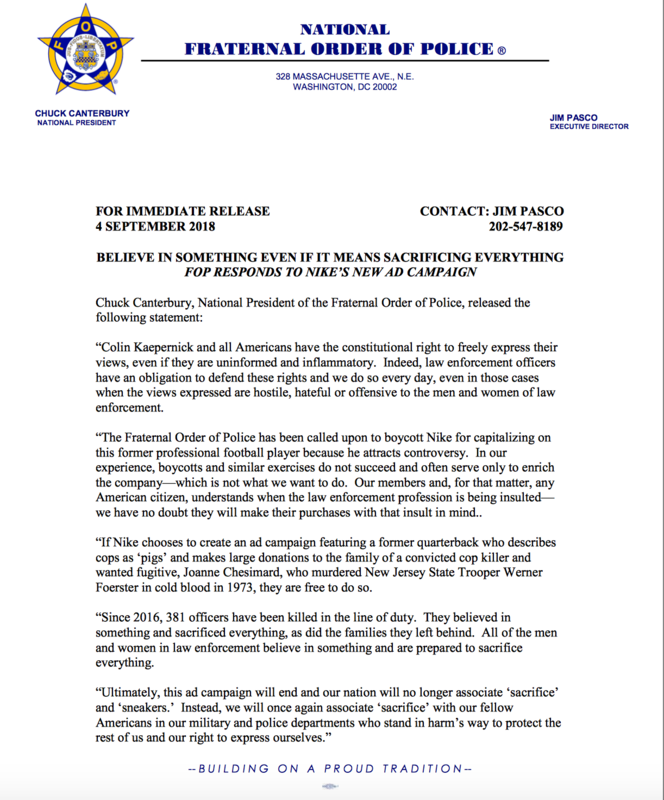 The Fraternal Order of Police, consisting of 325,000 members across 2100 chapters, has something to say, too.